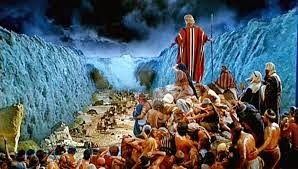 When I was a Universal Studios tour guide the parting of the Red Sea was a daily occurrence. No big deal. 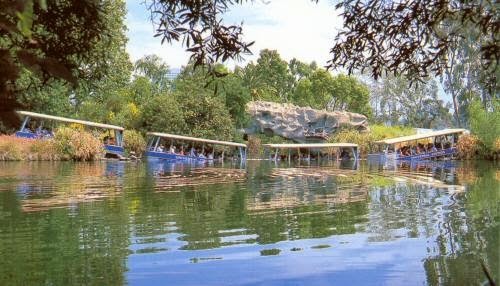 With a tram full of tourists we'd pause for dramatic effect at the brink of Park Lake, one of the three manmade bodies of water in the backlot. Telling the guests that films like The Creature from the Black Lagoon and McHales Navy were shot there, we'd add some dramatic mumbo jumbo and lo and behold, like clockwork, the Red Sea would part as it did for Charlton Heston in The Ten Commandments. Sort of. Believe it or not the cheesy bit always got applause and a few oohs and aaahs along with the laughter. 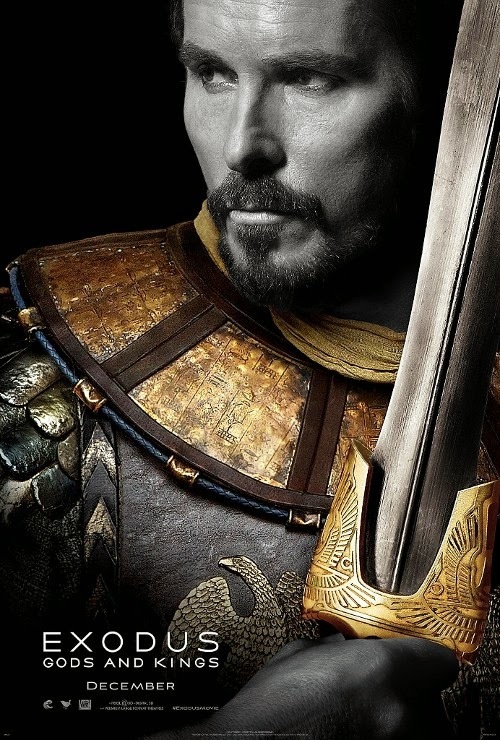 I'm excited to see how director Ridley Scott handles the effect in his upcoming Exodus: Gods and Kings. 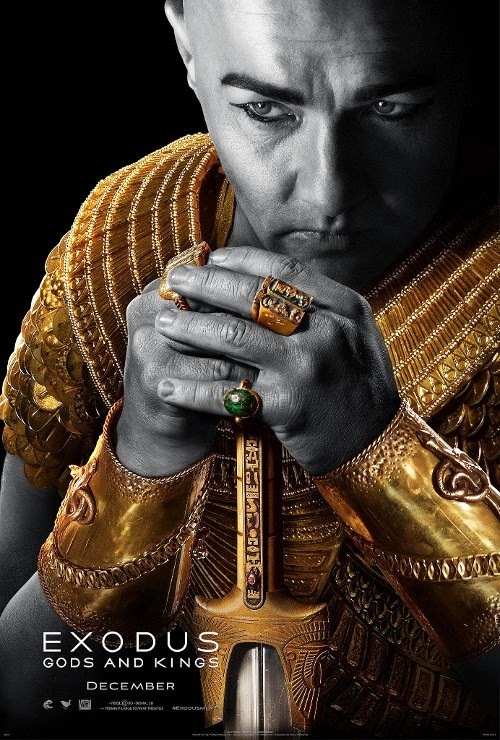 The first trailer has just been released and with it, the first posters revealing Joel Edgerton (Tom in The Great Gatsby) almost unrecognizable as Ramses (Yul Brynner played the role in the Cecil B. DeMille classic) and Christian Bale as a younger, dark-haired Moses than in my biblical imaginings. The movie comes out December 12th, so if you need to brush up your biblical knowledge, there's plenty of time to read Genesis, the action-packed Bible book that forms the basis for the story. 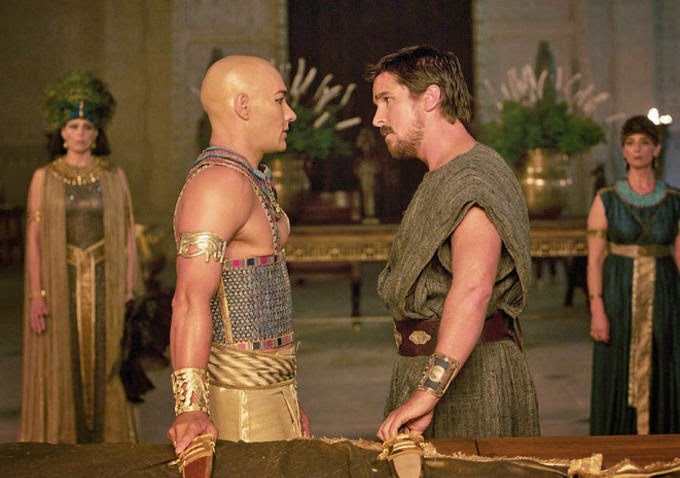 Bale and Edgerton play the boyhood friends with Bale as the bearded Moses - what, no weight loss for Bale? 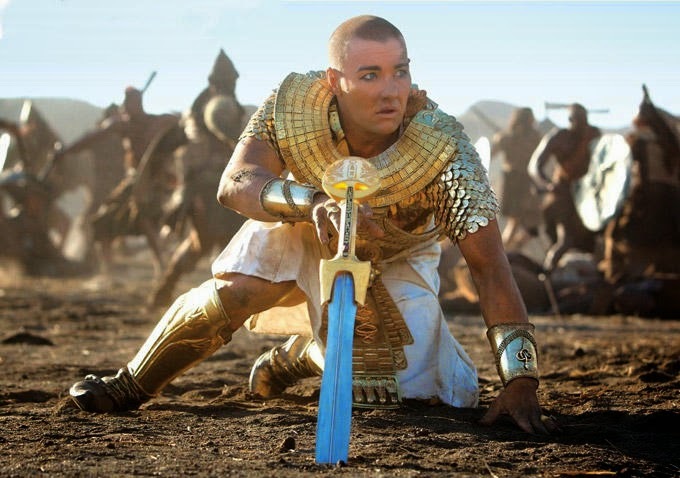 - while Joel Edgerton either shaves his head or dons a hot and sweaty bald cap as Ramses. 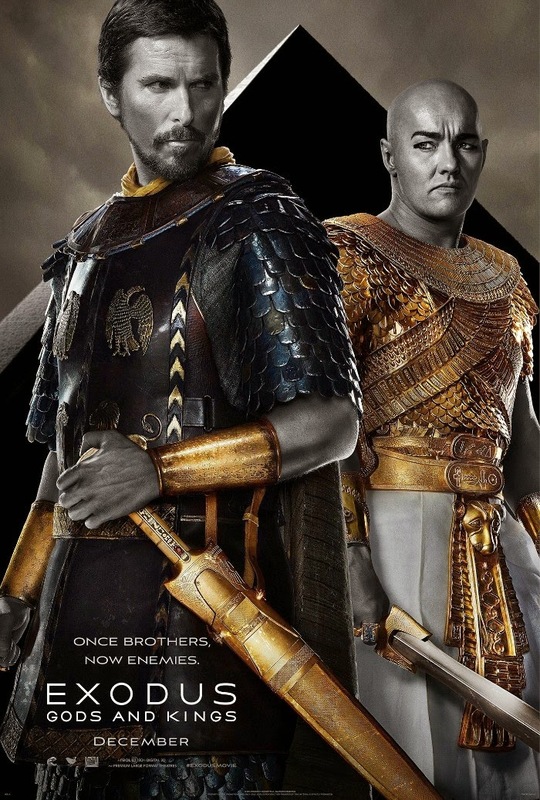 The movie tells the tale of Moses leading his people out of slavery, besting plagues, rivers of blood and parting the Red Sea to set the Israelites free. 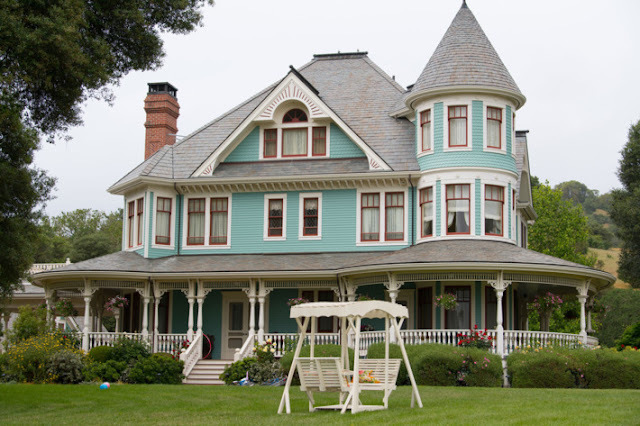 Aaron Paul, Sigourney Weaver, Ben Kingsley, Ben Mendelsohn, India Varma, and John Turturro also star. 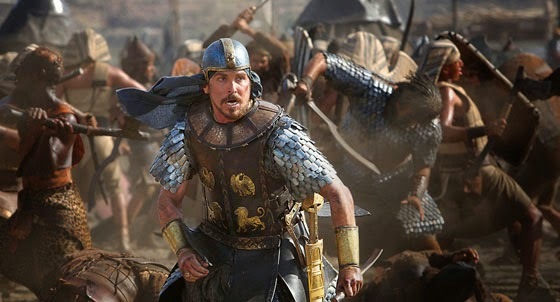 Scott and Twentieth Century Fox are hoping to follow in Darren Aronofsky's very successful footsteps, his Noah has grossed over $359 million worldwide since it was released earlier this year. 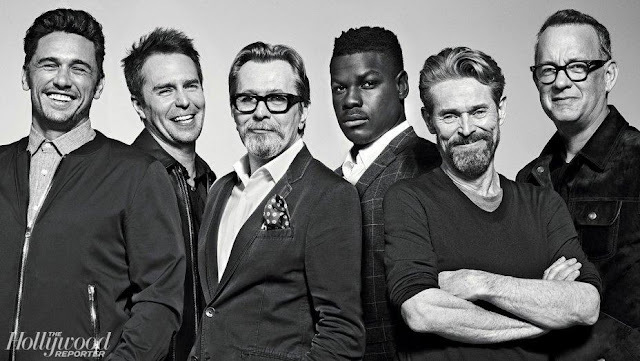 Let's watch the trailer, the music is 'a riff on' Simple Mind's Belfast Child. Scott's right about that flood, isn't he? It's spectacular! Thanks for the heads up on the trailer; it's fixed now. 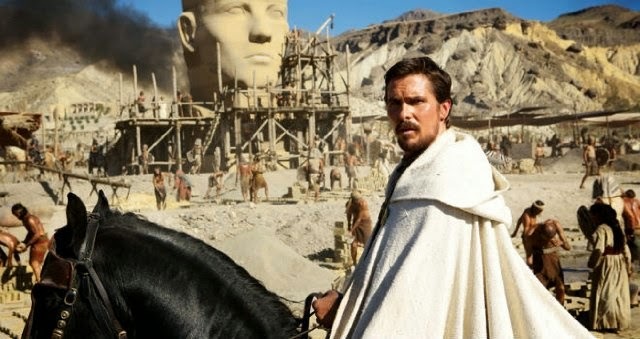 Bale does look medieval: he's Medieval Moses with a mighty big sword. Not sure what the purists will make of it but it looks good to me.